Your shopping matters. Shop at smile.amazon.com/ch/26-2474316 and Amazon donates to Island Christian Academy. 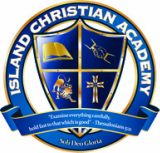 Island Christian Academy is an independent, non-profit school and does not receive state funding. In an effort to make our school affordable we have made the decision to keep our tuition low. The low tuition does not cover all the expenses of Island Christian Academy. In order to meet these expenses, we rely on the generosity of parents and people in the community to help fund the education of the students at ICA. Donations of cash are accepted anytime during the year and are fully tax deductible. We are able to accept cash or checks. Many companies have a matching fund program and will match contributions that their employees give. If you are not sure if your company participates in such a program, contact your company’s human resources division or contact the school office and we will research it for you. You can help Island Christian Academy by naming us as a beneficiary in your will. Island Christian Academy has an auction every year and we accept donations of items and services throughout the year. If you have a donation, please contact the office at 360-221-0919. This fund is set up to help families that are not able to pay the full tuition. We will accept a one time donation or will arrange for monthly payments.